What a clever idea! Why haven’t I ever thought of it? 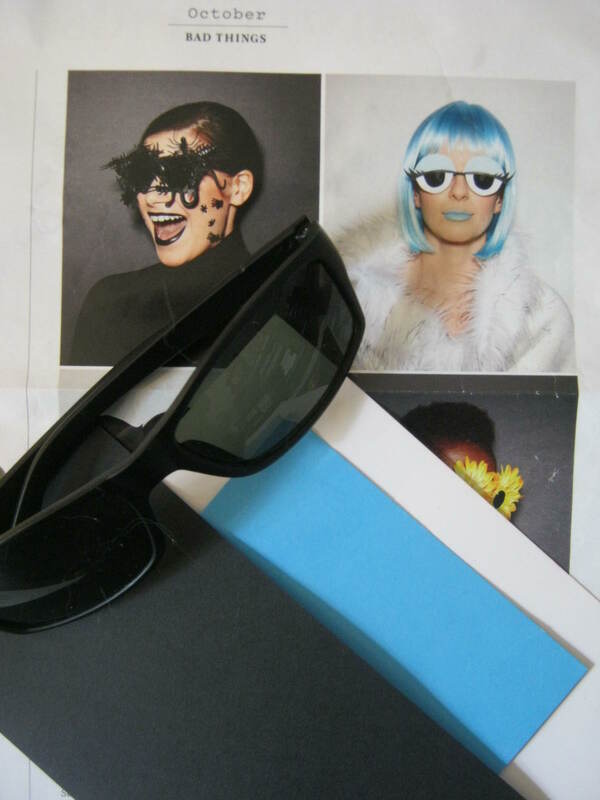 Decorate a dollar store pair of sunglasses for Halloween. I don’t dress up, but I decided it would be fun to try a few of the cute ideas in the October issue of Martha Stewart Living magazine. The Trick-or-Treaters might enjoy the look…or…maybe they will be SPOOKED! It certainly wasn’t costly to create these glasses, and while they will probably only last a night; I sure had a good time creating them. 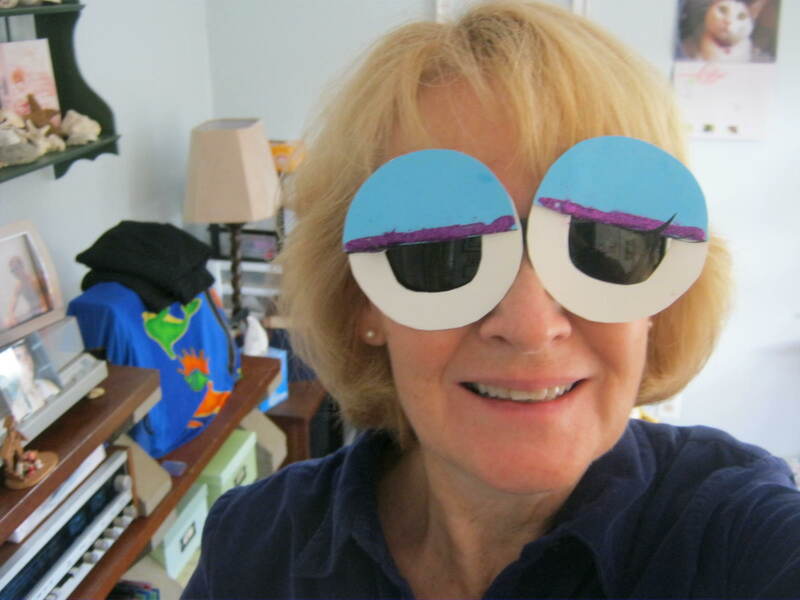 If I have time I might glue a silk flower or two to an extra pair of sunglasses I found lying in a drawer. Those are too cute. I think I have the materials to get a pair done before Friday! The double-sided tape in the directions would have worked much better.